This past weekend, I took my oldest son with me to visit my parents. It was a nice, long drive through New England and the middle states during leaf peeping season. The hand of God almost seemed to be painting treetops as we drove. My parents now live in farm country, where life somehow seems slower and cornfields abound—even the occasional buggy or two. And I really didn’t know how much my frantic, suburban heart needed cows and cornfields until I had been there a few hours and soaked it all in. My father recently had surgery to remove his bladder. I went down there post-op to check on him but also to hear face-to-face the plan from here on out. Phone calls just didn’t cut it. I needed to look at him and see where life after surgery had taken him. I was amazed. In addition to decorating the foliage with a beautiful array of color, God was apparently also strengthening a body that should be beaten down and exhausted after a sum total of five tumors over many years and, most recently, ten hours of surgery and four units of blood—but, overall, it wasn’t. I’m sure it was for the first few weeks after surgery, but it certainly wasn’t now. While God was growing cornfields so tall with bonneted women bending over to eagerly check the harvest, He was also apparently breathing fresh peace through a cottage home: winds of reassurance, a cloak of safety. 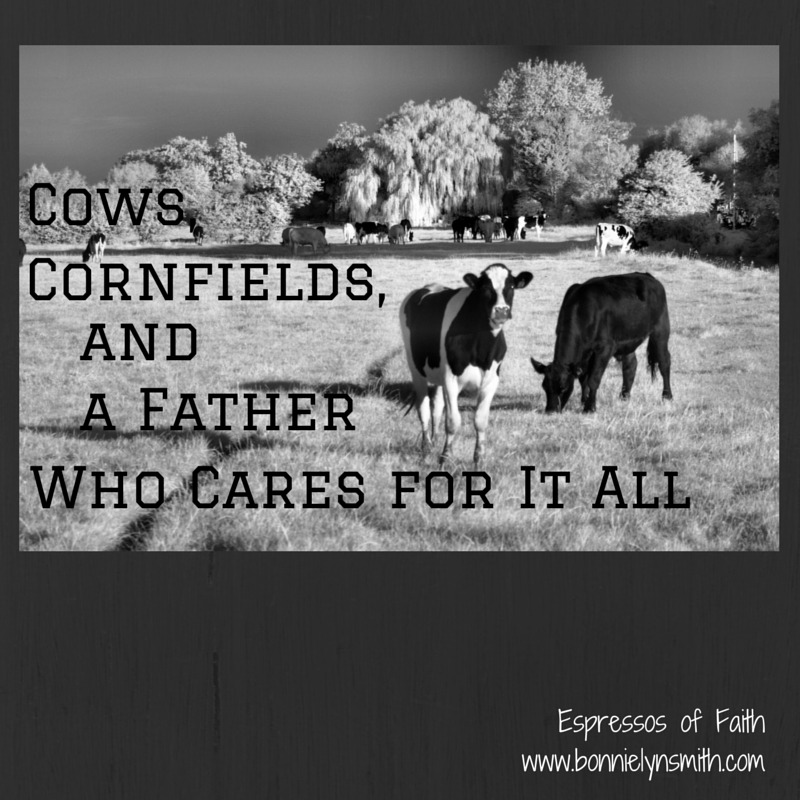 While He was giving cows full milk to squeeze in industrious dairy farms all over His rolling fields, He was also delivering love, food, gifts, and messages to two of His children weathering a raging storm. And this moment converged in my own life with crazy-busy slamming in regularly and not letting go. So, sitting in this peaceful countryside did much to soothe me and my son. I napped when they napped. I worshipped when they worshipped. And I slowed way down for a few days. 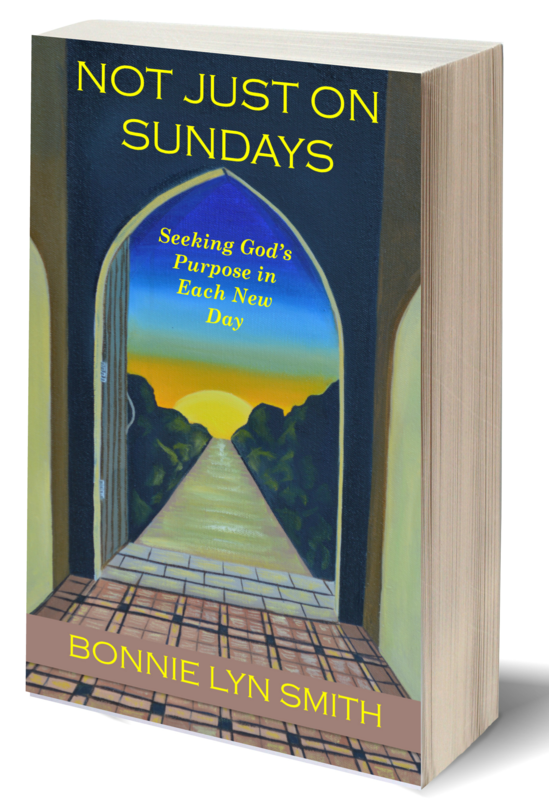 Blogs and book signings by the wayside. My own “mom duties” minimal. Just breathing in hay smells and watching the buggies clomp-clomp down a street that wasn’t too busy for them. How badly I yearned to be a buggy in those moments. We even watched an old movie snuggled under afghans after warm chicken pot pie. This isn’t where I grew up. Where I was raised used to have tall cornfields. I could get lost in them for hours. I still dream about them from time to time. But developments popped up everywhere, the high school grew enormous, and streets became busy. My parents found that quiet space again when they retired, and it’s a place to truly feel restoration and refreshment. I thought I was going just to see how things were going, but God also delighted me with rest. The noise around me stopped. I could see where this was the best place for my father to convalesce. How could you not heal in a place where people seem to have enough time and quiet to feel God’s breath on their faces as He exhaled? When I asked my son what his favorite part was, it wasn’t the Chinese food buffet we went to (although that ranked up there) but rather the amazing worship choir/band/orchestra at their church—and relaxing. It said a lot to me about what a family in our season of life back home in Massachusetts was like. We had been spinning like tops, trying to find a good stopping place, but we hadn’t found it yet. I found it difficult to part with the calm I felt in their part of the country. I found myself longing for another escape there very soon—with a different child this time, to be fair. But I also realized that God provides in ways that are sometimes not thought of or expected by us. –The visiting nurse arriving to discuss my father’s body functions, in her own way, was Jesus tangibly holding his hand. –The woman at church who wrote so many sentiments and cards was Christ’s disciple washing my father’s feet. –The beaming smiles of the friends in the pew behind them were life-giving gifts from a Father Who deeply loves us. I returned to talk at a speaking engagement the very next day, but I was rested, calm, at peace, and knowing my Father in heaven better. He knew I came to check on my dad, but isn’t it just like God to take care of us at the same time? Life picked up where it left off, except I had auburn-golden-crimson colors in my mind. The kindness of strangers. God’s kiss on my face in the smile of a coffee shop manager. A peace that passes all understanding swirling through my parents’ home. That peace certainly didn’t belong there on its own because cancer doesn’t speak peace. But Jesus does. He put it there. This blog has been shared at Mom 2 Mom Monday Link-Up, Tell It To Me Tuesdays, Pick Your Pin Tuesdays, Women With Intention Wednesdays, Coffee & Conversation, and A Little R & R.